We won't share your email. Ever. Your email is on it's way! You never know when an accident might occur on the road, whether it’s a head-on collision or someone rear-ending your car. 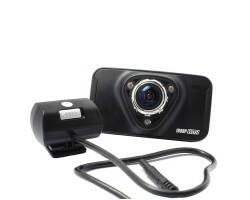 The DC7 1080p Dual Lens Dash Cam is one of the most affordable dual lens dash cameras on the market today. It features an HD camera with two separate lenses, one for the front windshield and one for the back. 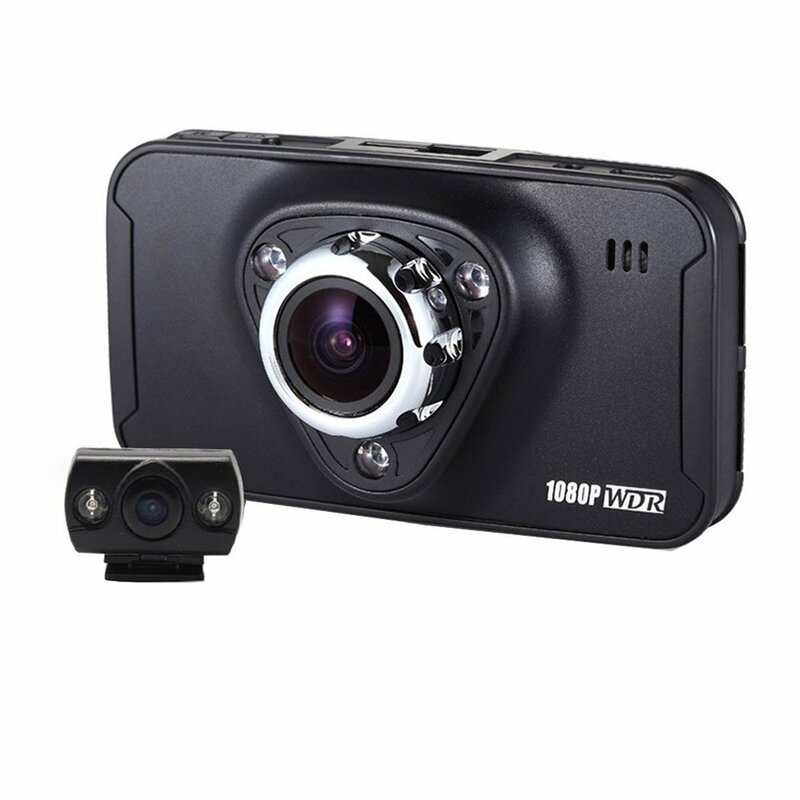 Get complete protection on the road with the DC7 1080p Dual Lens Dash Cam. 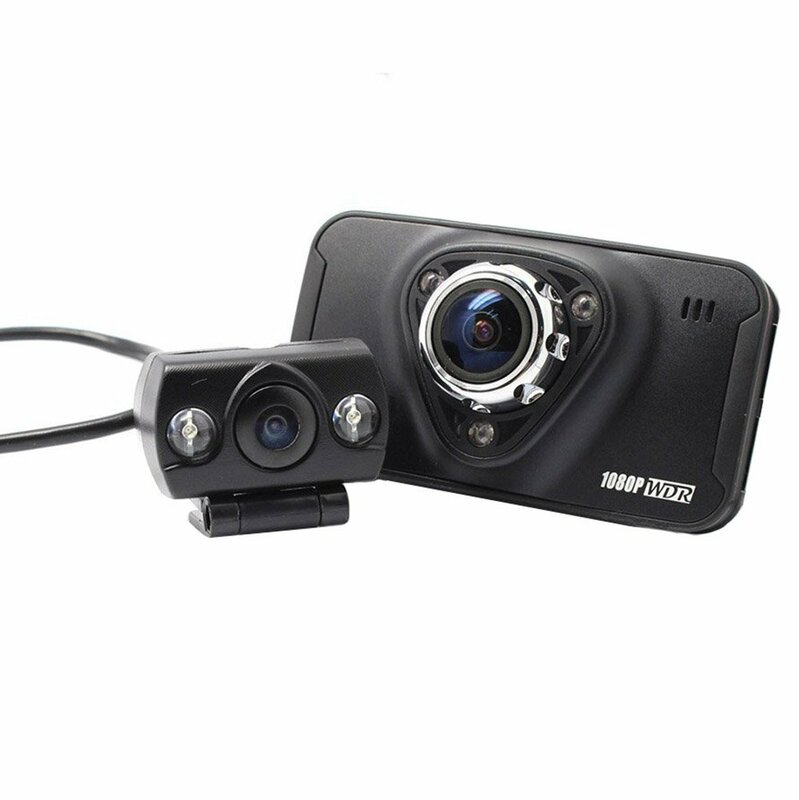 The DC7 1080p Dual Lens Dash Cam includes two lenses, one for oncoming traffic that sits on your front windshield and a rear-facing lens for the back windshield. The front lens records full 1080p HD video, while the rear lens records full 720p HD video. Both lenses have the resolution to record all of those important details like license plates and street signs. 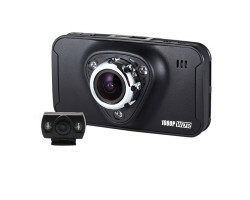 Regardless of what happens on the road, the DC7 1080p Dual Lens Dash Cam will record all of the action. Both lenses feature a wide viewing-angle, giving you a greater scope of view. The front lens has an ultra wide 170-degree viewing angle, while the rear lens has a wide 140-degree viewing angle. From the front and the back, you’ll be able to see both sides of the road at once. You never have to worry about the camera cutting off important details at the edges of the frame. 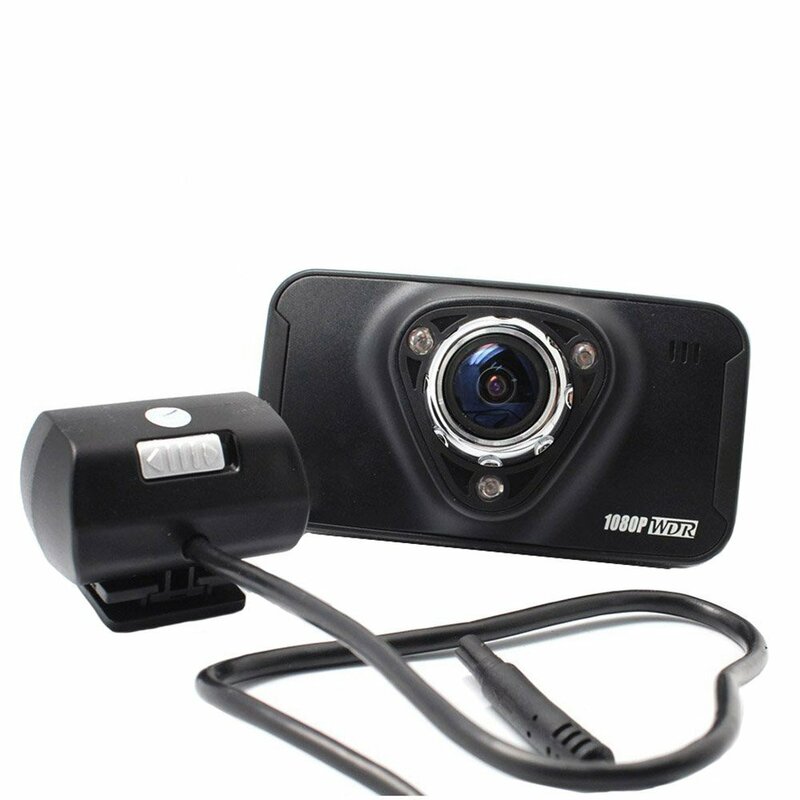 The DC7 1080p Dual Lens Dash Cam was designed for covert surveillance. If you get into an accident, you probably don’t want the other person to know that you’re recording video. The device has a sleek, black design that blends in easily with the interior of your car. Using the included adhesive and suction mounts, you can covertly place both lenses on the front and back windshield without bringing attention to yourself. The DC7 1080p Dual Lens Dash Cam comes with everything you need to record your travels on the road. 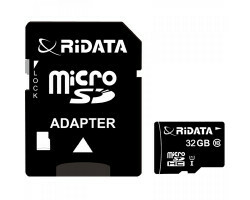 This version of the camera includes a 32GB memory card, which can store up to 4 hours of HD video. 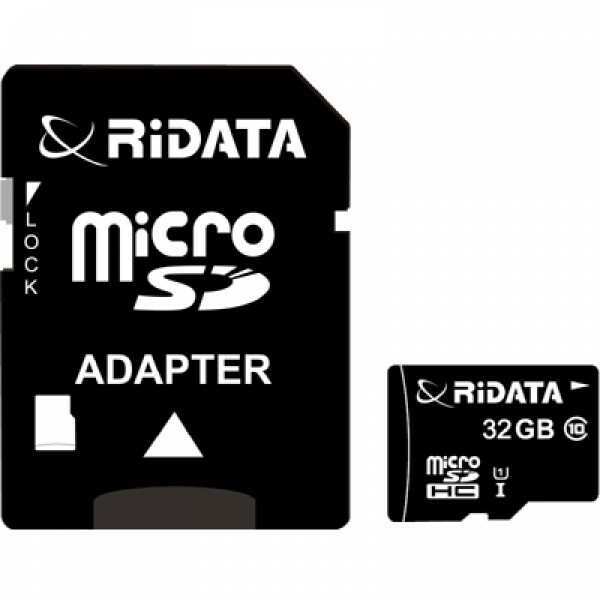 It also comes with loop recording, which means that the camera will automatically overwrite your old footage when the memory card is full. You’ll have peace of mind knowing that the camera won’t run out of storage space at the least opportune moment. The camera also features a built-in G-sensor that’s designed to detect when something impacts your vehicle. 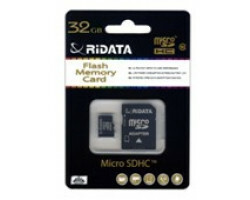 As soon as a collision is detected, the camera will automatically lock your accident footage on the memory card. This protects your footage from the loop-recording feature. You can rest assured that the camera will never accidentally delete crucial evidence from your trip. 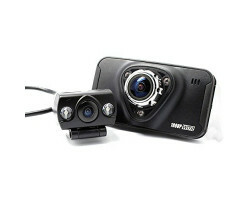 When it comes to watching over both the front and rear of your car, the DC7 1080p Dual Lens Dash Cam is a great choice. 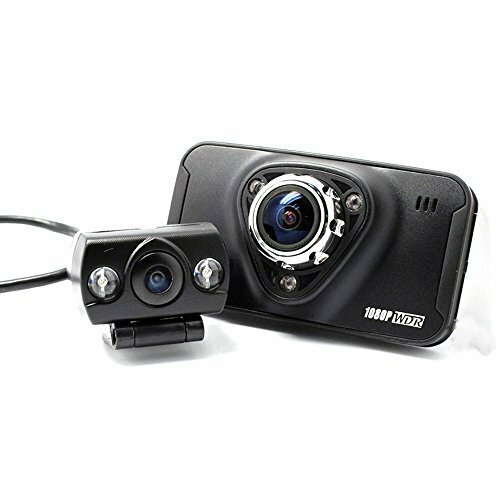 Affordable and easy-to-use, this dual lens dash camera has all of the features you need to protect your car from reckless drivers. 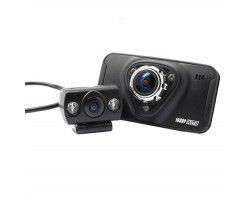 Stay safe on the road with the DC7 1080p Dual Lens Dash Cam.